I found this while I was in a quilt shop in Esk. I thought I would frame it with material and hang it on my quilting room door. 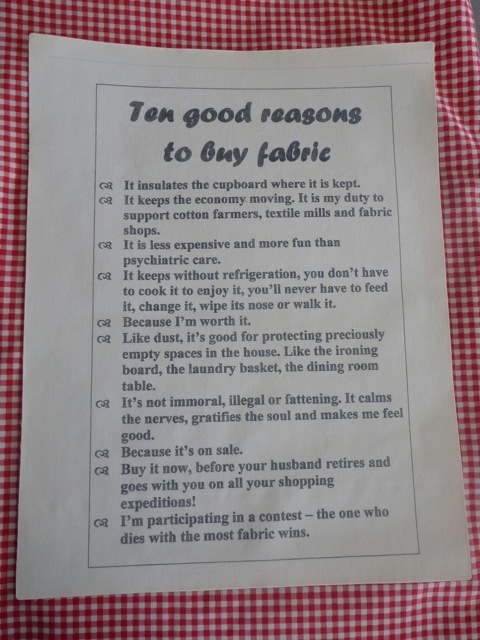 So very true..what a great idea and when someone asks you why another piece of material,reply 10 great reasons….Id love one..